A group of professional barbers try to mentor the young men through the non-profit called, I'm A Father F1rst. 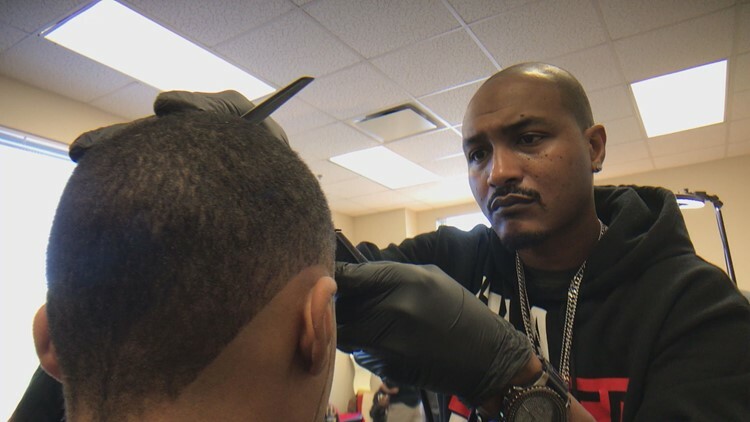 ATLANTA — It might look like just a hair cut to some, but it means so much more to the group of high school children from some of the toughest neighborhoods in Atlanta. A group of professional barbers try to mentor the young men through the non-profit called, I'm A Father F1rst. The organization's mission is to change the negative perceptions of being a father and impact children who need financial, emotional, and physical support. "Our goal is to deal with fatherless boys ages 6 to 16," said Keith Lewis, one of the co-founders of the organization. Tuesday, the group got the chance to fill the fatherless gap at the B.E.S.T. Academy in northwest Atlanta with a simple fresh cut. "Many of them can't afford haircuts," said Timothy Jones, the principal of B.E.S.T. Academy. "Many of them go months without haircuts." "No other school in APS is doing anything for you like this," said Jalen Thornton-Thomas, a student. 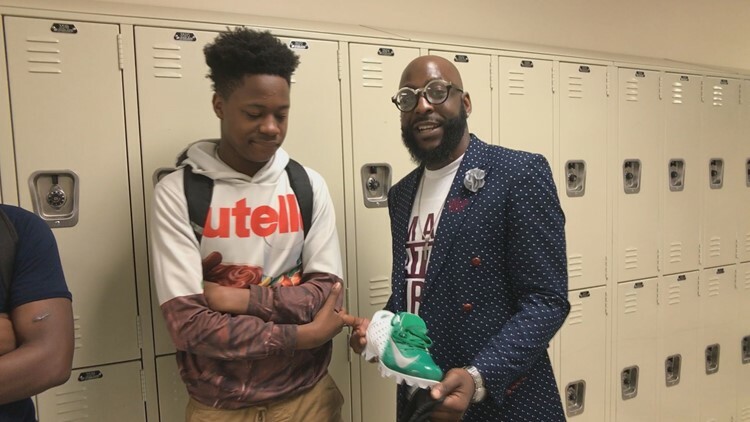 According to the U.S. Department of Education, 39 percent of children in 1st through 12th grades don't have a dad living in the home, which can greatly impact high school graduation. Statistics show kids without a dad in a home can lead to poverty, high school drop out, teenage pregnancy, and in some cases, it can wipe away dreams of graduation with incarceration. Many of those students are Hispanic or African American. The barbers who showed up at B.ES.T. Academy are trying to keep the student on the straight and narrow. "I'm only a couple of years older, so I can relate," one of the barbers said. "I'm from the same city, from the same areas." "They really fit the role for uncle, brother, everything," Thornton-Thomas said. The "everything" for student Joshua Patterson meant a new pair of football cleats. "I know these two men are going to help me out and be a father figure in my life," Patterson added. School officials said filling the fatherless void does so much for the young men's confidence. "It's phenomenal to have partnerships like this," Jones said. "They feel like they can conquer the world because they look the part," he added. Get more information about the organization on its website.